To those who may not be familiar with the Tulip designer ring line, a fancy Tulip ring has over 0.50ct round, brilliant cut, naturally colored diamonds held elegantly within tulip shaped gold petals. You will be able to easily find a tulip engagement ring to fit your finger size and even in the event you do not, Novori will be able to specially make a ring for you to your correct size. Expert jewelers will tell you that a tulip ring style is a marvelous way to add charm and elegance to a traditional solitaire engagement ring. 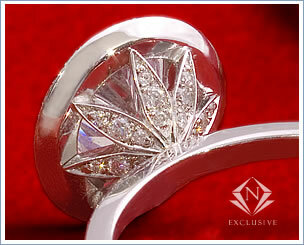 When you observe the style of this setting, you will find it to be shaped like the leaves of a tulip and hence the name. People who have a passion for the exquisite beauty of tulips opt for this flower’s design. 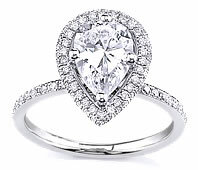 One of the popular engagement rings is a pear-shape diamond set in a tulip platinum ring. When you select a diamond for the center stone, you will find that a 1 carat diamond brilliant cut with a GIA color grade of G or H and VS1 clarity makes an excellent choice. There is a slender hand-crafted band with rounded edges and a polished finish that heightens the dazzling brilliance of the diamond. You can also opt for yellow gold instead of platinum and ask to create tulip-set rings with 18kt yellow gold shank and a tulip setting in platinum. Once you speak with a jewelry consultant at Novori, you will be able to see the full line of fancy tulip rings. 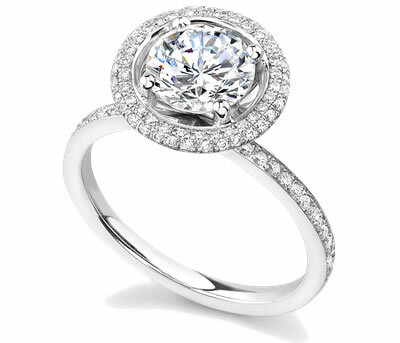 All tulip engagement rings are designed, created, polished and finished by highly skilled and experienced craftsmen. Tulip engagement rings are available with four-prong heads for round, square, marquise and oval-shape diamonds. They are also available in five-prong heads for pear-shape stones. This style of ring can be crafted with a variety of precious metals. Jewelers sell tulip engagement rings using different metals - platinum, 14k gold and 18k gold and white gold. 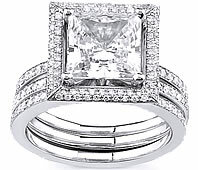 Novori recommends that you choose platinum for the setting, regardless of the style or color of the band. Platinum offers the strength and durability required to securely hold the precious diamond for an indefinite length of time. When shopping online at www.novori.com you will find that our prices on Tulip rings is very low and you may able to buy your tulip engagement rings at the best online prices to save you some money. Also remember that your purchase is safe because we offer a 30 day return policy so you don't have to worry. 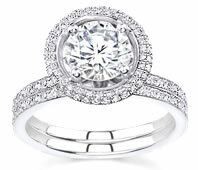 Novori Jewelry will stand behind their products and provide the 30 day return policy to give you security and peace of mind with the quality of their tulip engagement rings and all other products that we sell. 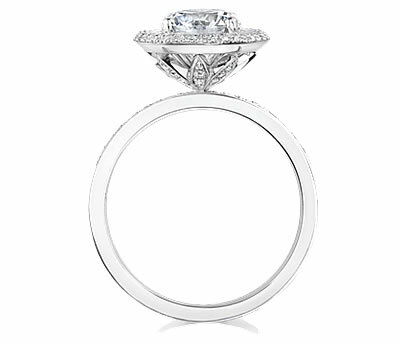 Finally, when you buy a tulip diamond engagement ring, make sure the diamond you select for the center stone is of a good quality as not to take away from the side stones. We can help you select a loose certified diamond and inform you of the famous Cs – Cut, Color, Carat and Clarity of the diamond. All loose stones that we sell come with the certification papers from an independent laboratory.